Forklift accidents are among the most common construction site accidents in Queens. Each year, more than 20,000 workers suffer serious injuries in forklift-related accidents in the country. Many of these workers sustain lifelong injuries. More than 100 workers a year are killed in forklift-related accidents. 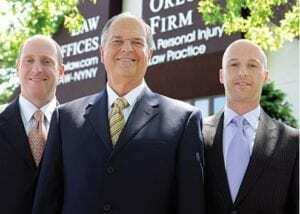 The personal injury attorneys at The Orlow Firm have successfully represented victims of forklift accidents at construction sites throughout the New York City area, including Queens, Brooklyn, Manhattan and Queens. Call (646) 647-3398 or contact us online.